When the Pokémon: Let's Go, Pikachu! and Let's Go, Eevee! trailer first dropped before E3 2018 in June, I was not impressed. The game's reliance on the Pokémon Go formula left me concerned about how a series I had played since my childhood on the Game Boy Color might be affected by change. Last weekend, I attended NintendoVSUK's event in London. I was expecting to play the new Smash Bros. title, as well as other upcoming games. To my surprise, however, I was told that press would gain access to a small sample of the Pokémon Let's Go games in the media area—and I hesitated to take them up on that offer. When I picked up the Poké Ball Plus controller and began to explore Viridian Forest, all my doubt disappeared. I saw what The Pokémon Company had in store for the future of the series. What is Let's Go? And what has changed? The Let's Go series is a reimagining of the core RPG Pokémon games, where trainers pick a starting Pokémon and search for other strange creatures to capture and train. 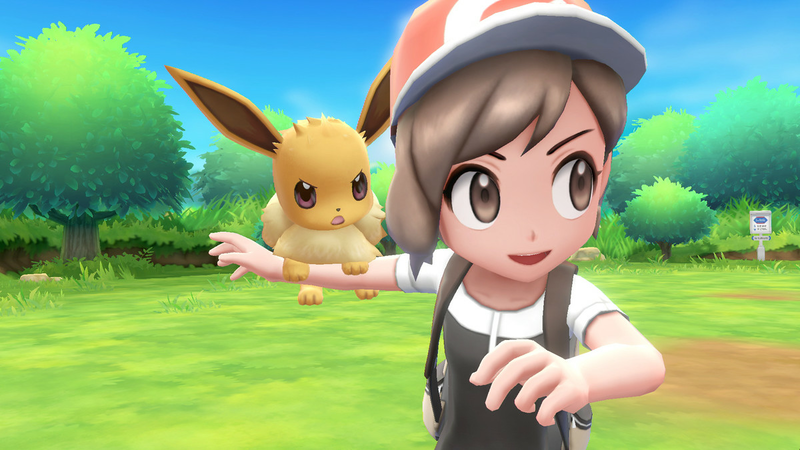 All these changes have been made to offer a simpler experience to get newcomers into the core Pokémon games by turning Let's Go into a spin-off series. The goal of the game is to fight other strong trainers around the world to level up, evolve, and make your Pokémon stronger. Eventually, you can become the Pokémon Champion by beating the Elite Four, the strongest four trainers in the world. Most of the mechanics that the core RPG series is known for are alive and well in the Let's Go series, but the games are removing some of the long-standing parts of the RPG formula that fans love. This includes changes to how wild Pokémon are caught. In previous games, trainers originally needed to weaken and then capture Pokémon in turned-based, RPG-style fights. But Let's Go replaces these with motion-controlled Poké Balls that you have to just throw at the Pokemon in hopes that it gets caught. No battles, just luck. The Let's Go series also changes how gym battles are conducted, setting requirements for trainers to reach before the player can even challenge them. The version of the game that I played was a small portion of the E3 demo from June. We were given access to a small selection of Pokémon and were told that we could only explore Viridian Forest. If we leveled our Pokémon too highly or got further than we were allowed, the controller was taken away and the game restarted from the beginning of Viridian Forest, giving us a chance to explore the world and see what it had to offer all over again. My initial concern about the game when watching the trailers was that it'd be changed too much and would fail to convey the feeling of wonder that a game like Pokémon delivers. I was thankful, therefore, that the world looked as bright and alive as ever and that it felt like Kanto had been reborn. 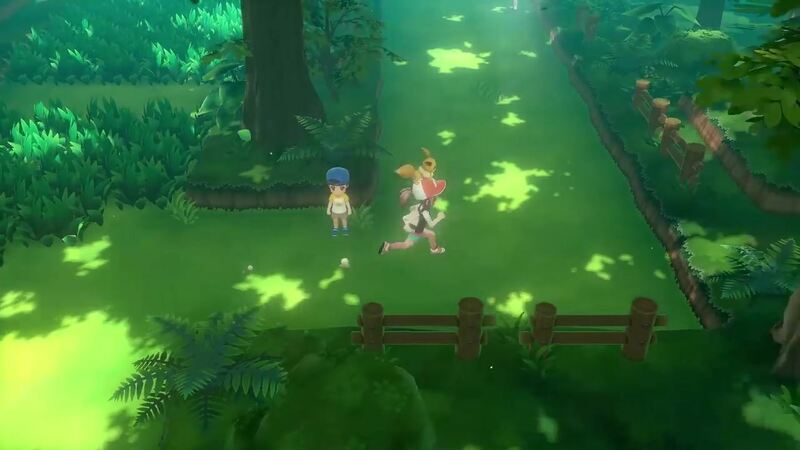 The Viridian Forest that I remember as a kid is not the same as the one in the Let's Go series. The pathways are different, Pokémon spawn in different areas, and new creatures can be found on routes that weren't originally there in Pokémon Red and Blue. Pokémon Let's Go introduces a weird hybrid mechanic that mixes the core RPG statistics with Combat Points (CP) found in Pokemon Go. All of the basic core RPG stats that fans know, like attack and special attack, are all there. Since this was just a demo build, however, we weren't able to access everything that the game had to offer—so Nintendo could be hiding more competitive elements in-game that just aren't readily available at this time. The combat system also plays out like normal Pokémon battles from the core RPG series. You face off against an opponent, pick a move from a list of four, and attack each other until a Pokémon faints. The only major change from the core RPG series comes from wild Pokémon encounters. 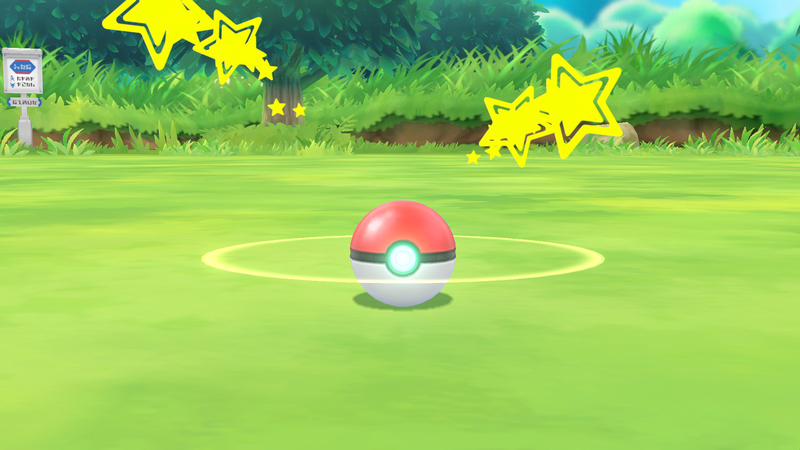 Wild Pokémon are now displayed on the map rather than being random encounters—and, just like Pokémon Go, you have to physically throw a Poké Ball at them using the Switch's Joy-Con controller. Since our time on the game was so short and in a singular area, there are still a lot of question marks about the Let's Go series. The requirements for gyms, such as needing to have Pokémon of a certain level or type, greatly annoys me since it feels like the game is trying to hold your hand too much. The loss of wild Pokemon battles also still erks me, but It's good, at least, that the game rewards you experience for capturing Pokémon in the wild. This feature was missing from the initial trailer, which had me worried for a long time due to the limited amount of trainers you could fight in Kanto. 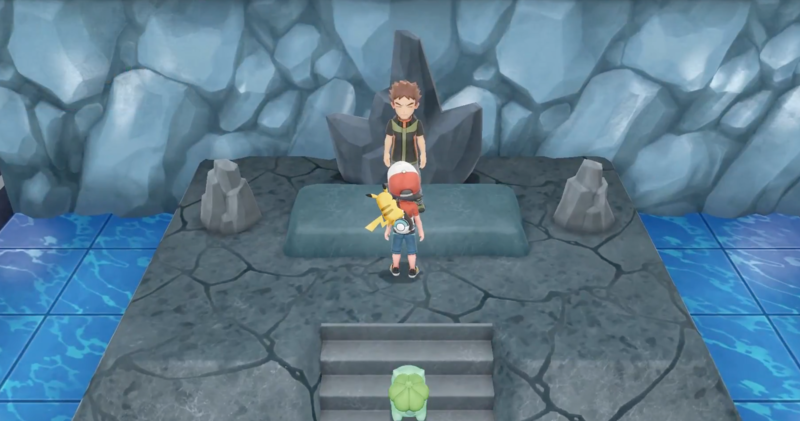 There are also parts of the game that we still don't know much about yet, such as how evolution will work, more details about the end-game, and if the Elite Four will have similar restrictions as the gym leaders. Take it from a person who originally wasn't excited at all about this title: not every game will be made with you in mind. 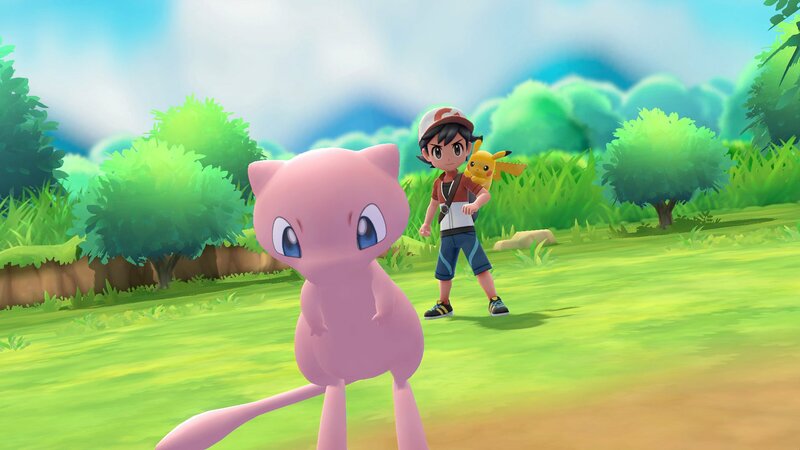 A few of the essential gameplay mechanics remain, but most of the game has been made to bridge the gap between the core RPG gamers and Pokémon Go players to try to provide something for everyone. It's made to be beginner-friendly and to teach new players (especially those who've played Pokémon Go) about the core RPG series—it also provides something for Switch owners to play during the holiday season. For those willing to see the game for what it is and give it a chance, however, then you're sure to be in for a treat. If you aren't willing to wait though, there's a brand-new core RPG series set to be released at the end of 2019 for anyone looking for the true Pokémon experience.